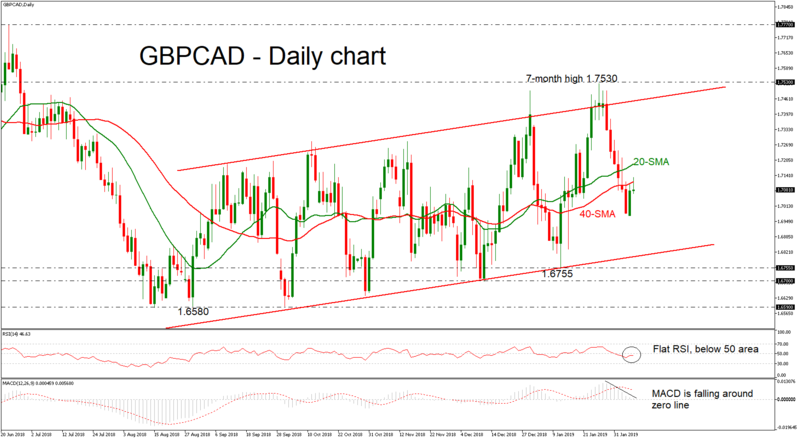 GBPCAD is holding below the 20- and 40-simple moving averages (SMAs) in the daily timeframe, following the bounce off the resistance level of 1.7530 – a seven-month high reached on January 25. The pair has been trading within an ascending sloping channel over the last six months, despite the upside spikes towards 1.7530. The RSI indicator is flattening slightly below the 50 level, while the MACD stands below the trigger and zero lines.